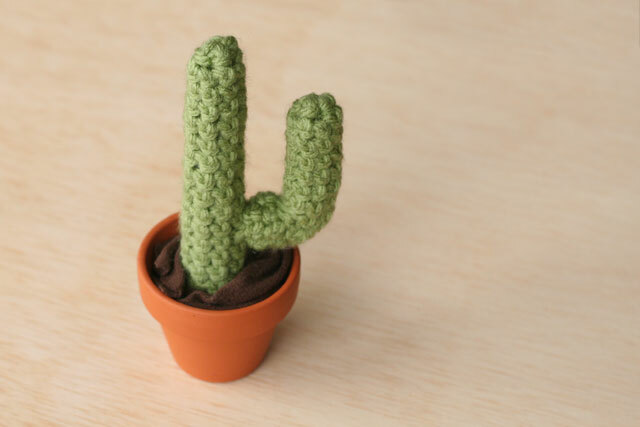 I learned how to crochet specifically because I wanted to make cacti. What, is that not why most people learn to crochet? 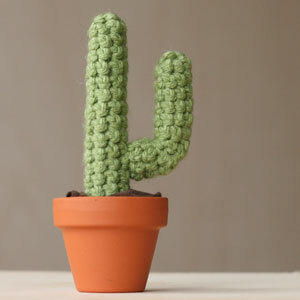 But crochet cacti are adorable. Even my male coworkers agree. Well, they didn’t use the word “adorable” but they did find them to be “awesome”. 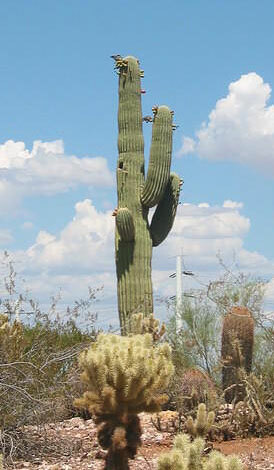 Today I’m going to give you a tutorial on how I made a saguaro cactus. Start with 4 single crochets in the round. I use the technique described here to start my round. Start with 4 single crochets in the round, same as above. To finish, place cactus in a small flower pot and stuff around the base with scraps of brown fabric (I used bits of an old t-shirt), or small stones. Admire your cactus! This one is super-easy. I just learned how to crochet a few weeks ago and this came together really easily! I think this is a plant even my boyfriend would accept in his flat! Fantastic – thanks a lot! Glad you like it! I love your website, by the way!! Great idea! For some of the other cacti I’ve crocheted, I’ve used the tiny flower pattern from http://attic24.typepad.com/weblog/teeny-tiny-flowers.html to crochet little flowers for the blossoms. Those might work if you use a thin yarn! Love this! I think I’m going to make this for my sister for Christmas. I taught myself a year ago to crochet because I loved crochet baskets .. kind of a silly thing to start on, like your cacti, but totally worth it! Thanks for the pattern! I’m looking for a pattern for a saguarro cactus flower to crochet. I am digging far and long. That flower is intriguing and quite different than standard roses or other floral patterns. Almost like two flowers in one with a fruit like honeybee center.